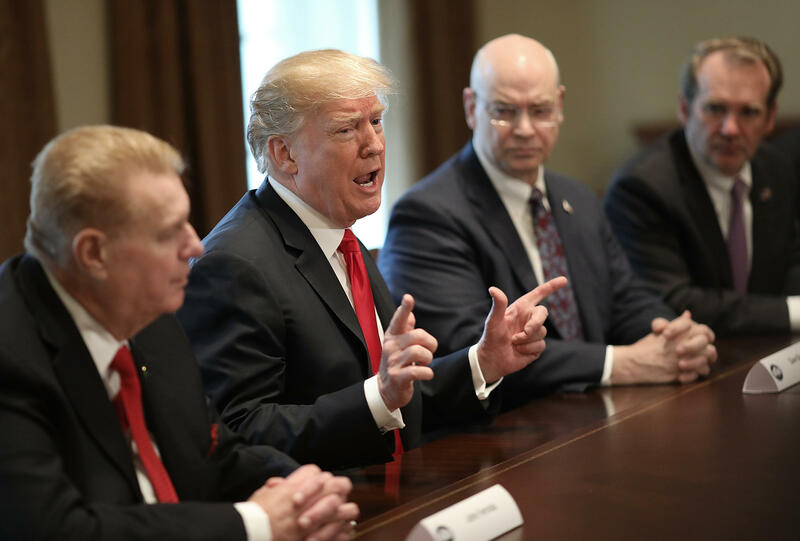 President Donald Trump is considering broad tariffs on imports from China and an announcement could come as soon as Friday. Industry groups and some lawmakers are scrambling to prevent a new front in a potential trade war that could reverberate across the U.S. economy. Mr. Trump's focus on China could be even more consequential, both at home and abroad, than the recently announced penalty tariffs on steel and aluminum. And amid the staff turmoil at the White House, it's being read as a sign of rising influence for the administration's populist economic aides, led by Commerce Secretary Wilbur Ross and adviser Peter Navarro. Republicans in Congress largely opposed Mr. Trump's steel and aluminum tariffs and are working with the administration on a process for allowing waivers or carve outs for certain countries or types of metals, beyond the exemption the White House is allowing for Canada and Mexico. CBS News' Margaret Brennan reports that the steel and aluminum tariffs also go into effect on Friday March 23 so the rollout of new tariffs may help offset press coverage claiming Mr. Trump softened his position on the first round of tariffs. He is considering giving carveouts to U.S. security partners, like South Korea, when it comes to the steel and aluminum tariffs. Sen. David Perdue, R-Ga., a White House ally who spoke earlier this week with Trade Representative Robert Lighthizer, said he has been talking with Mr. Trump on measured approaches toward using tariffs to remedy trade imbalances.